CHICAGO (WLS) -- A 19-year-old man was charged after police said he followed a woman into her building in Chicago's Lakeview neighborhood, pushed her to the ground and stole her purse. The victim was walking home in the 3100-block of North Southport Avenue around 10 p.m. Monday when Jaleel Johnson allegedly followed her into the vestibule of her building, grabbed her and pushed her down. Investigators said he then took her purse and ran away. Three men who saw what happened chased Johnson down and held him until officers arrived. Police recovered the victim's purse and everything in it. She refused medical attention. 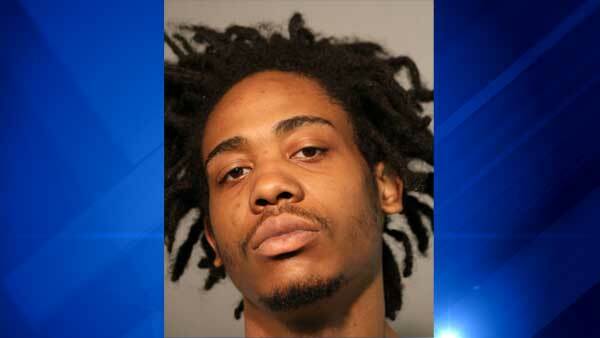 Johnson, of the 6900-block of South Artesian Avenue, was charged with robbery. He is due in bond court on Tuesday.